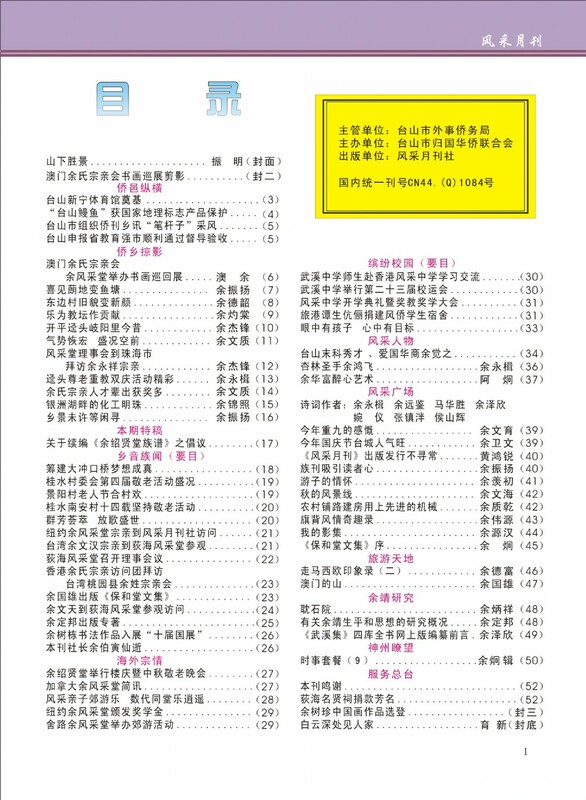 Welcome to the 30th issue of the Yee Fung Toy Global Village Voice, an electronic newsletter for the World Yee community. 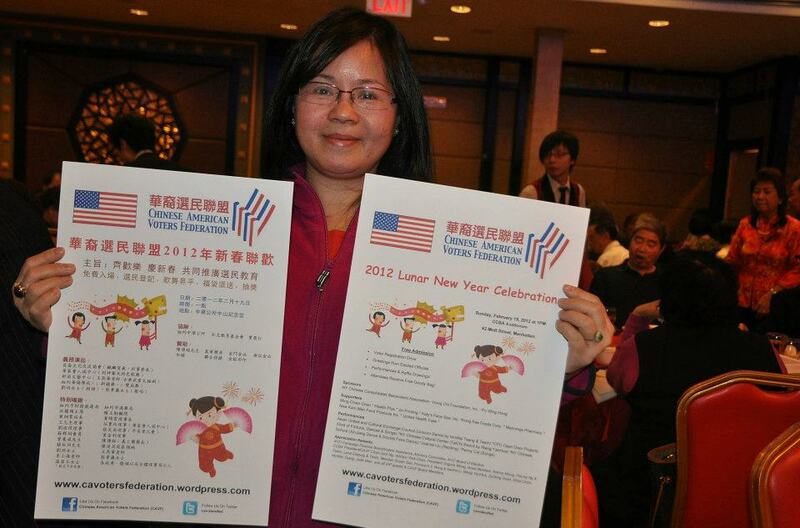 In this issue we are featuring Winter activities from associations around the world. 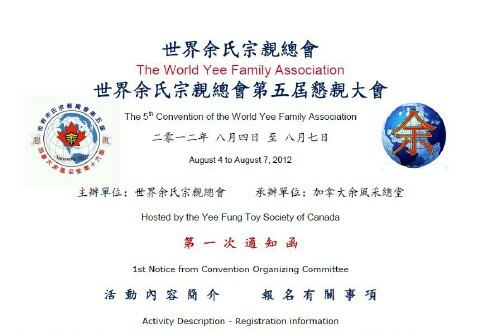 The 5th World Yee Convention is scheduled for August 4th - August 7th, in Vancouver, British Columbia, Canada in 2012, we hope to see you all there. 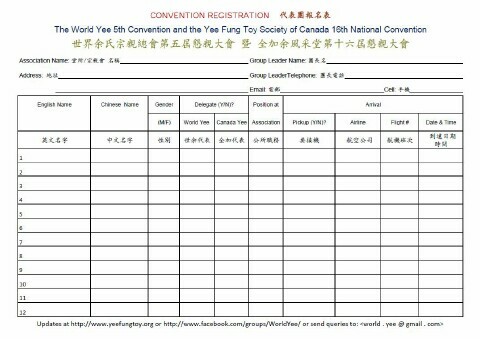 The 16th Yee Fung Toy Society of Canada National Convention is also scheduled for August 4th - August 7th, 2012 - to be held in Vancouver. 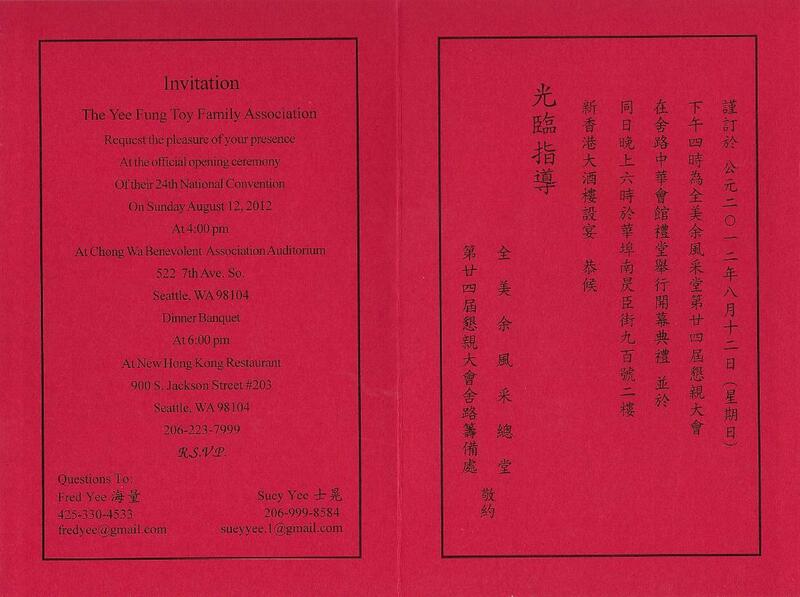 The 24th US National Yee Fung Toy Convention is also scheduled for August 11th - August 14th, 2012 - to be held in Seattle, WA. Details are posted in their respective web pages. 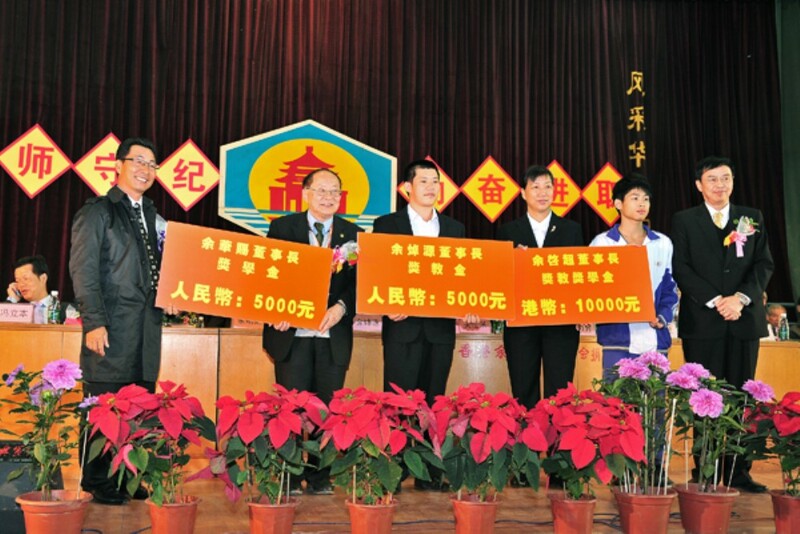 This issue covers some of the Winter activities of the Yees around the world. 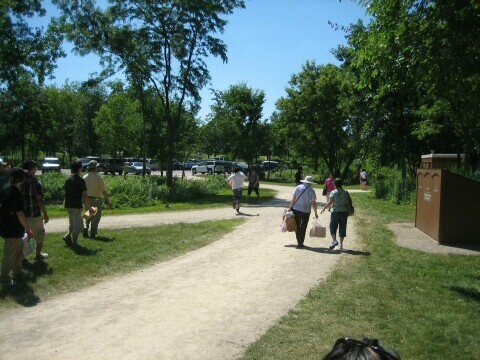 The Chicago YFT 2011 annual July 4th picnic outing event photos, more are located on our Facebook page. 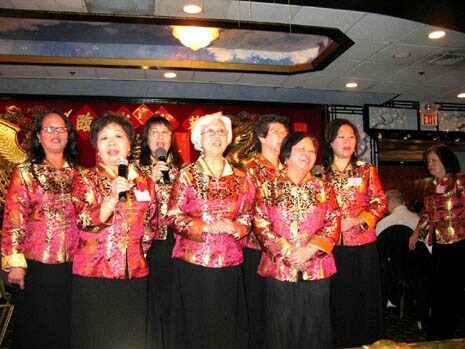 The Southern California YFT's 3rd Cantonese Opera and Honoring Seniors Luncheon was held at the Golden Dragon Restaurant on Saturday. September 10, 2011. 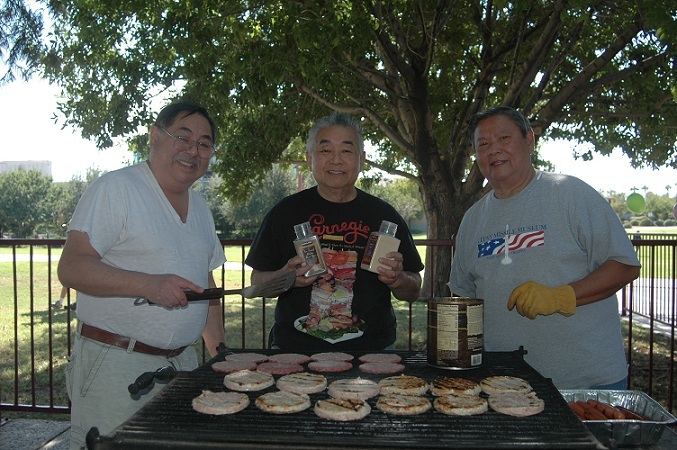 The Phoenix Yee Fung Toy Family Association held its annual picnic at Margaret Hance Park in downtown Phoenix on Sunday, November 5th. 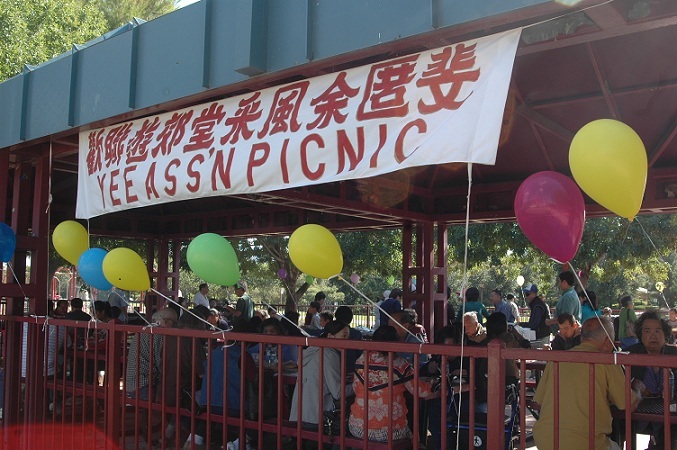 The picnic outing event also included a raffle with everyone taking home a prize for attendance. 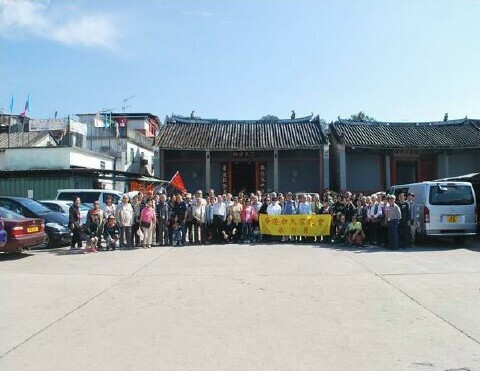 Members of the The Hong Kong Yue Clansmen Association went for a Autumn day trip on November 12. 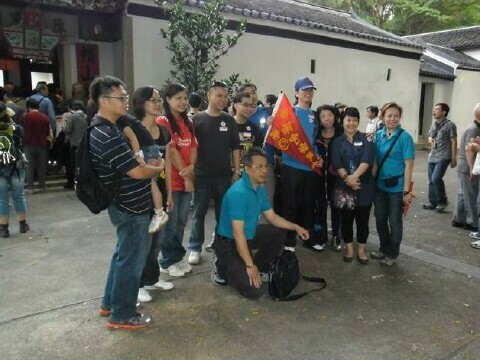 The itinerary include Wen Tianxiang Park, Ping Shan Heritage Trail and The Sam Tung Uk Museum. For more photos, please click here. 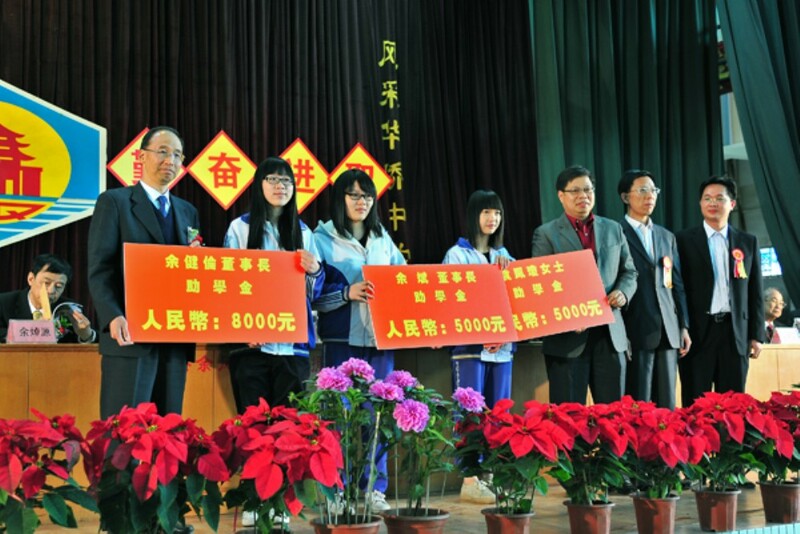 Taishan Wuxi Zhong Xue (MoKai Secondary School) Celebrates its 26th Anniversary on December 9th. Over 2,000 guests, students and school staff celebrated this event. 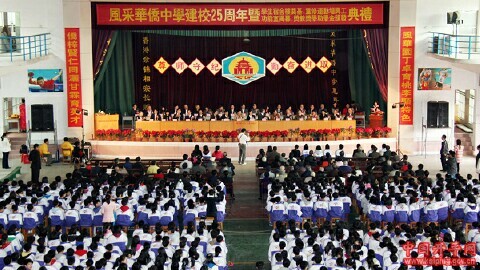 Fengcai Huaqiao Zhongxue (Fung Toy Overseas Chinese Middle School) in Kaiping celebrates its 25th Anniversary on December 9th. 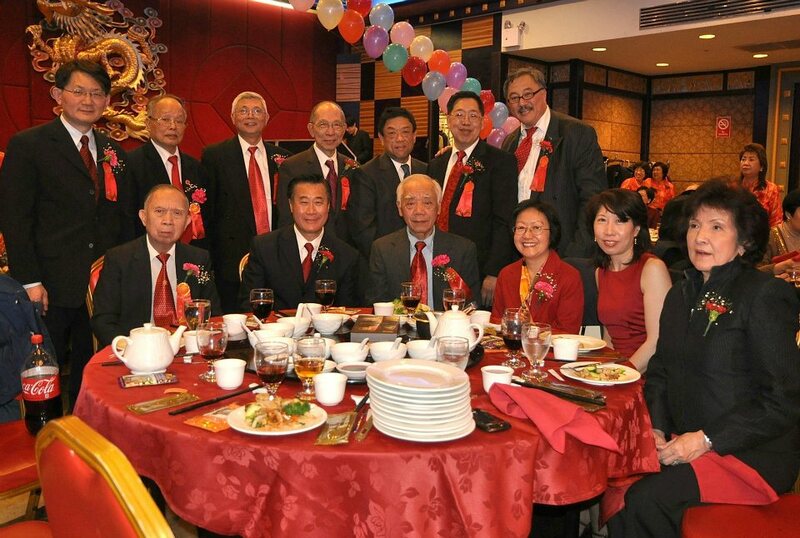 Advisors: Kenneth MP, Ngoon Hung, Sik Ying, Raymond, Winston, Kwok Chi, Yim, Jimmy. 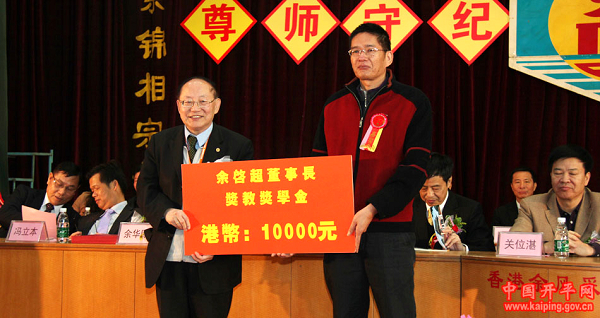 Delegate to CCBA: King-Sun, Peter. Women's Group Chair: Joanne, Karin. 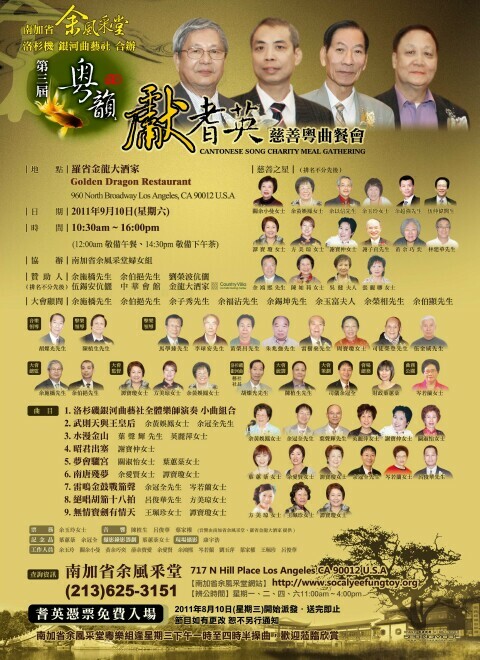 On December 11, at 12:00 noon, installation of newly elected officers for 2012. 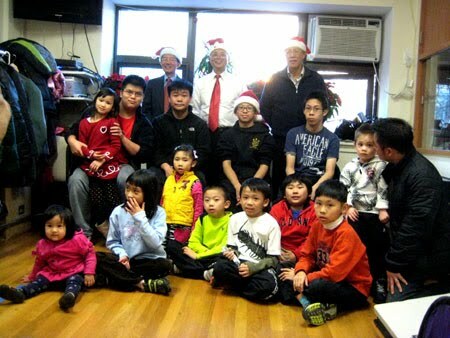 Follow by Christmas party for YFT member's children. 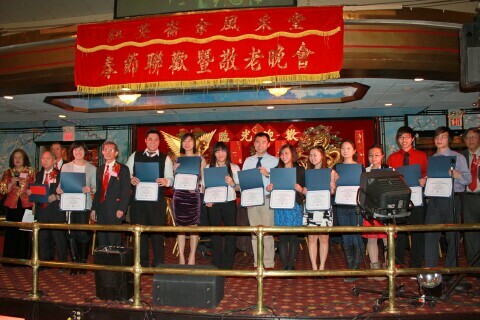 On December 18, Southern California YFT celebrated the installation of its newly elected officers for 2012. 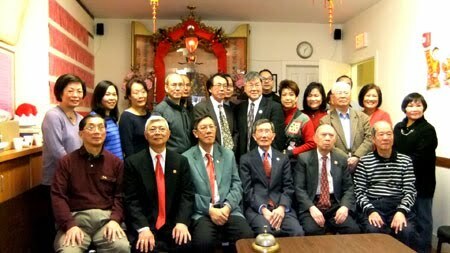 Installation of 2012 elected officers was held on Sunday, December 18th. Congratulations to the 2012 team! 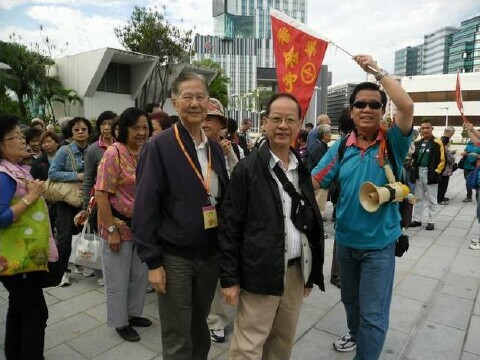 Grand Elders: Wai Hing Yee, Peter Yee. 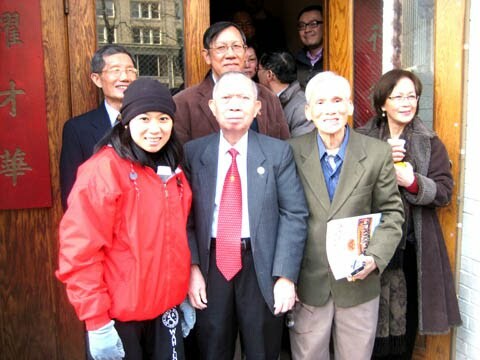 Grand Advisor: John B. Yee. 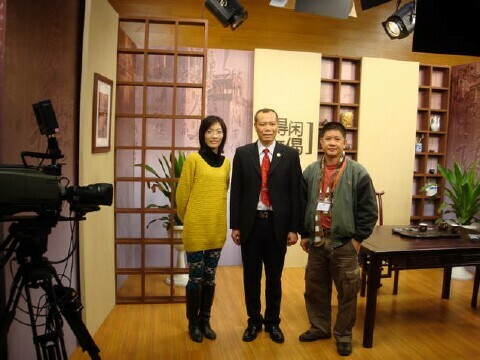 Advisors: Andy Yu, Gong Sum Yee. 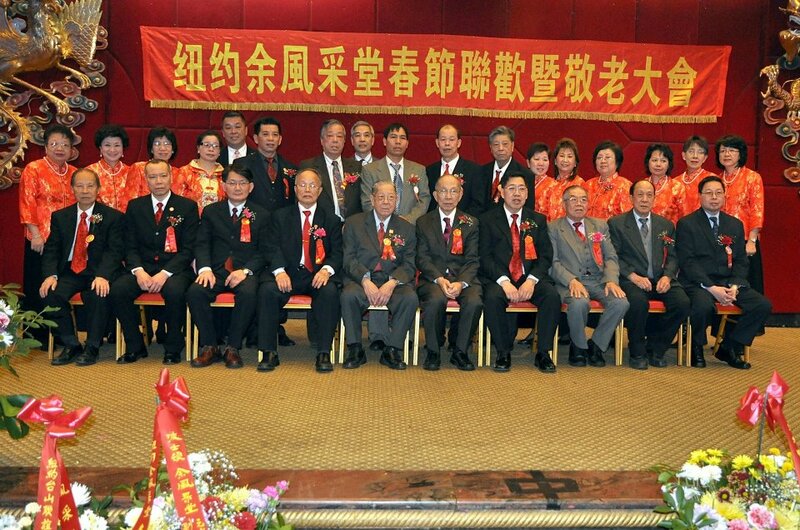 Presidents: Dian Rong Yu, Frank Yee. 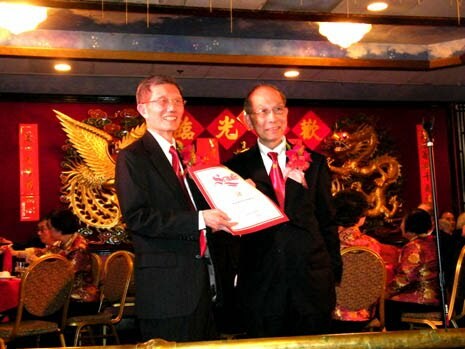 Honorary Advisor: Kwong Y. Yee. 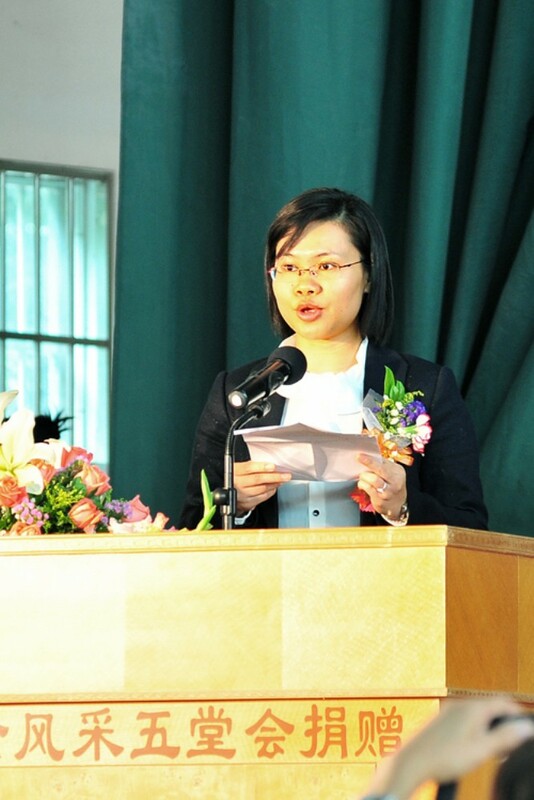 Legal Advisor: Ms. Mah Suk Wah. 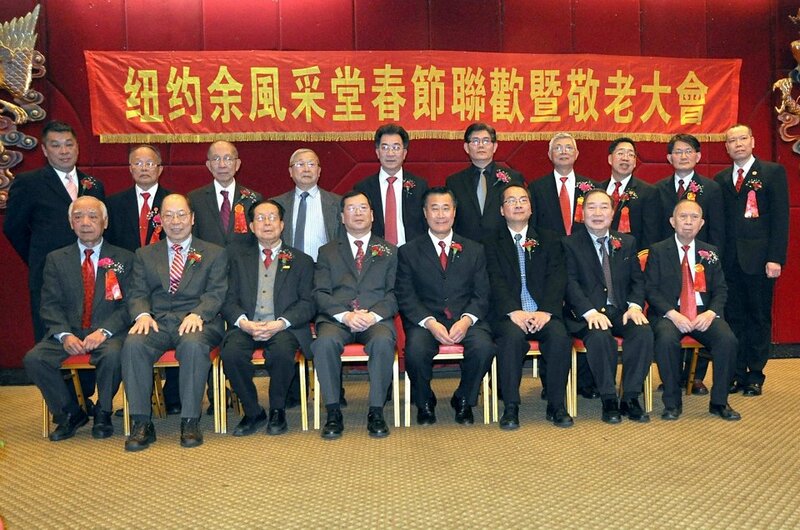 Chinese Secretaries: Foo Quock Yee, Sam Yee. English Secretaries: May Yee, Andy Yu. 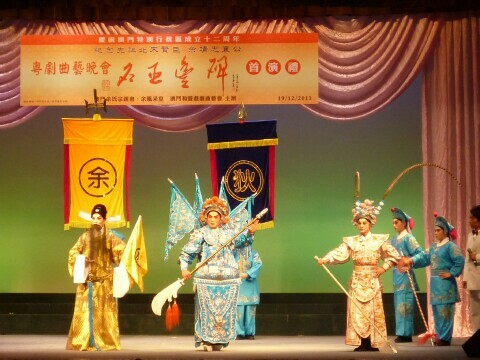 Treasurers: Kin Kong Yee, Dong Rong Yu . 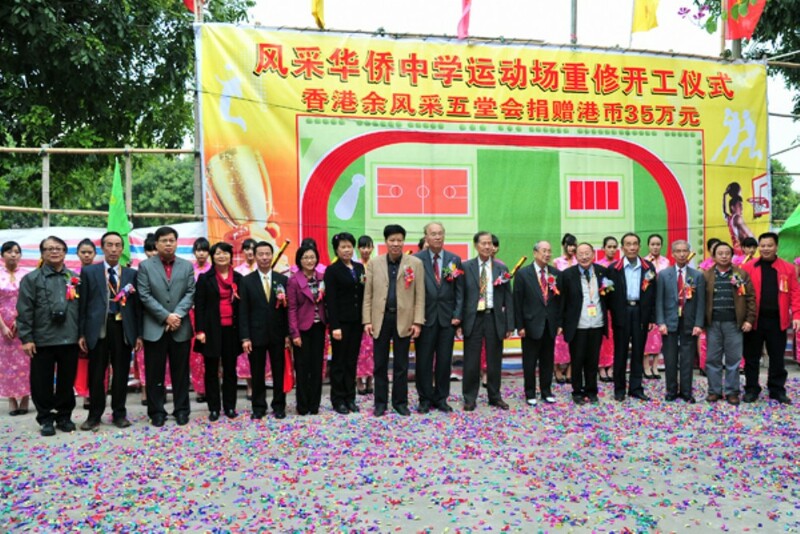 Auditors: Jin Shao Yu, K G Yu. 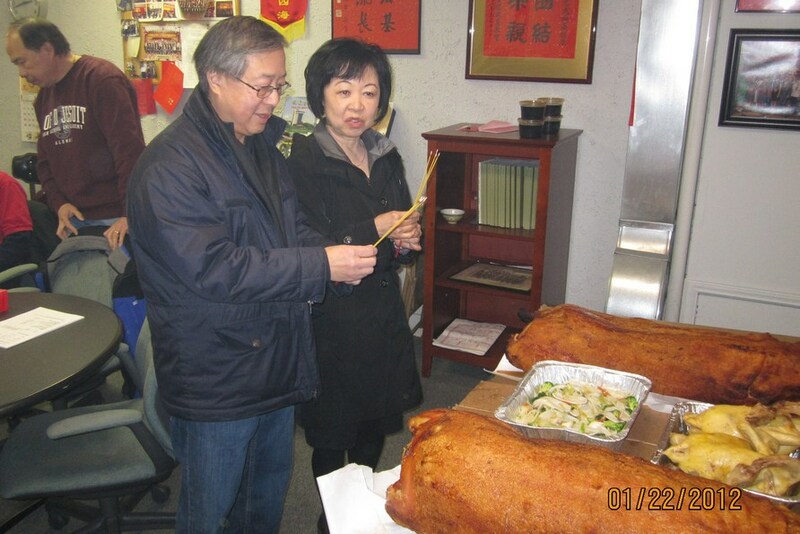 Public Relations: Jackie Yu, Eugene Yee. 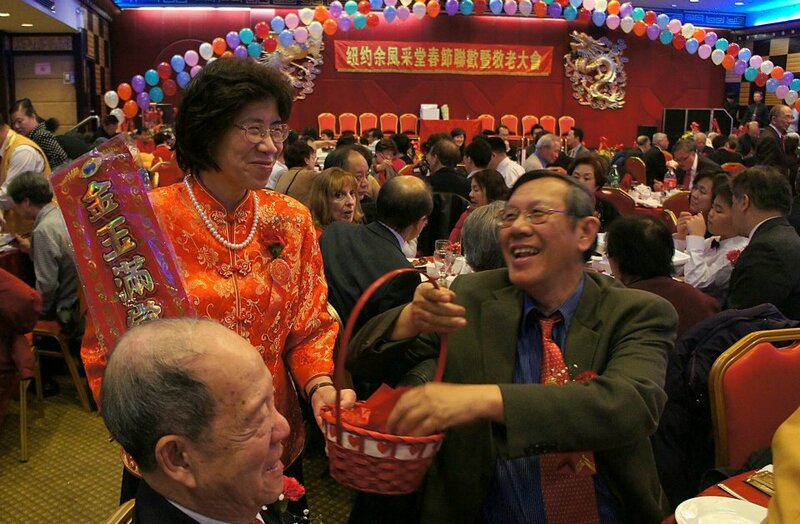 Building Presidents: Gong Sum Yee, Andy Yu. 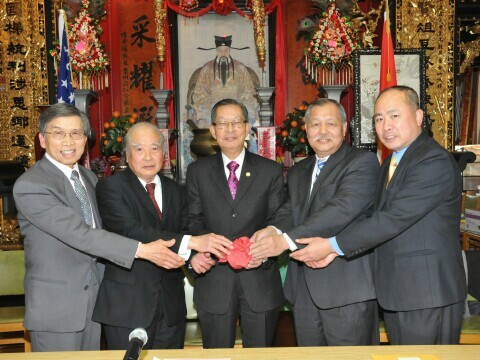 Honorary General Counsel: Lai Sun Yee. Presidents: Kathy Yu, Elaine Yee. Public Relations: Maggie Yu . 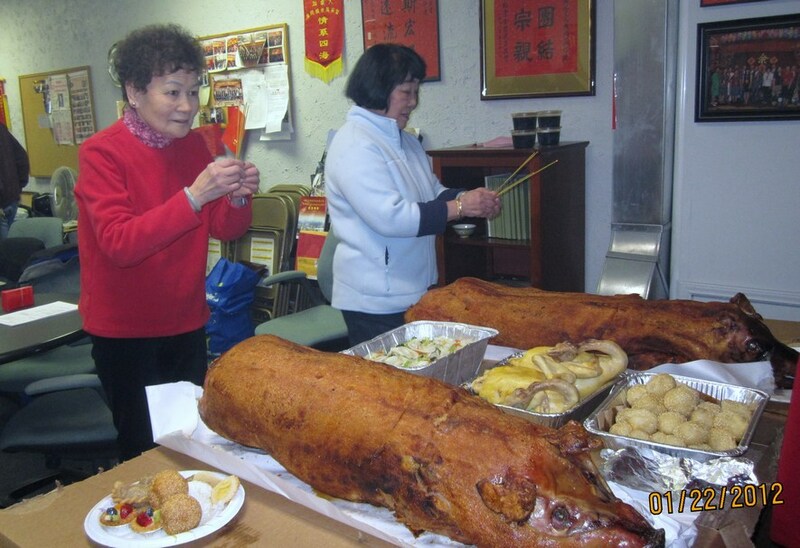 Recreation Directors: Helen Yee, Betty Yee. 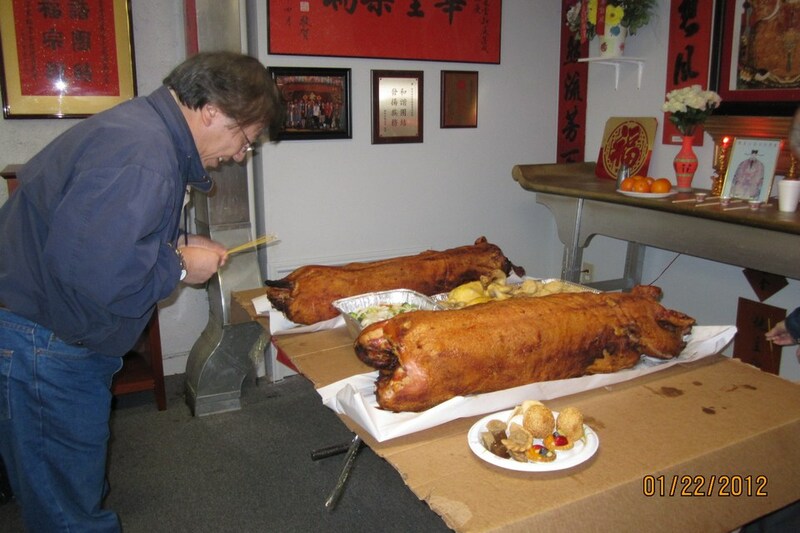 Senior Advisor West Coast: James Yee. 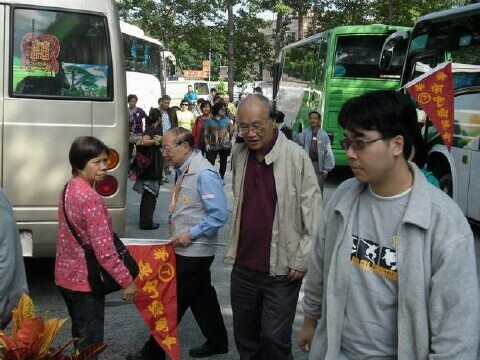 Advisors: Hing Yu, Jim Yee, James Yee, Suey Yee, Fred Yee, Shek Jing Yee. 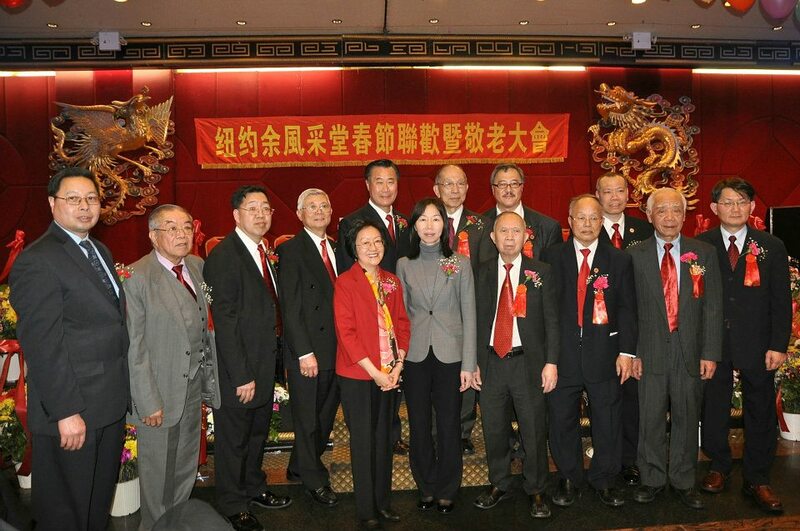 Chinese Secretary: Kit Fung Yue, Wing Suen Yee, Sing Chong Yee. English Secretary: Chun Pan (John)Yee, Danny Yu. Treasurer: Fred Yee, Yao Dong Yu. Advisors: Lewis Yee, David Chung, Kam Yu. 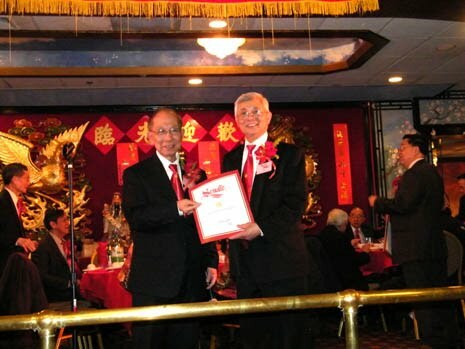 Chairman: Frank Yu, Alan Yu. 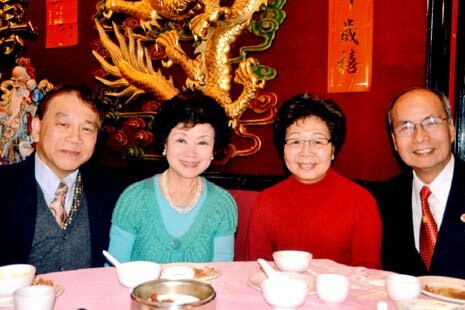 Chinese Secretaries: Pauline Yee, Art Yee. English Secretaries: Frank Yu, Alan Yu. 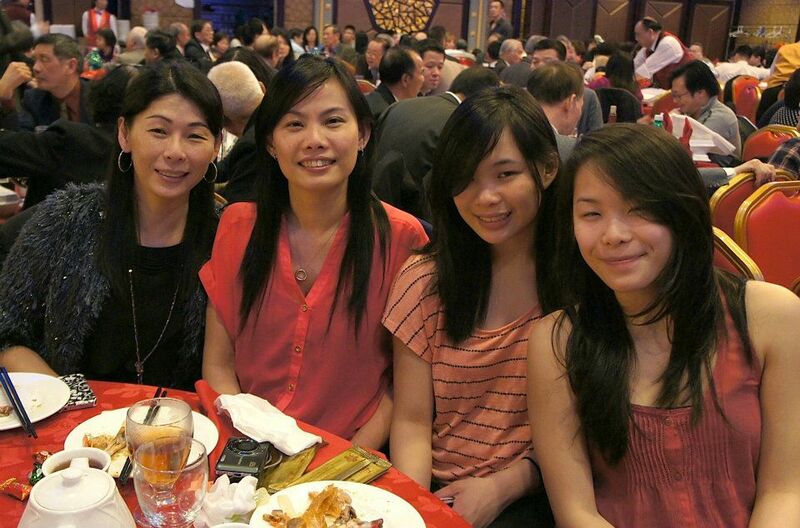 Treasurers: Winnie Yu, Lily Yu. Auditor: Paul Yee, Vickie Ong. 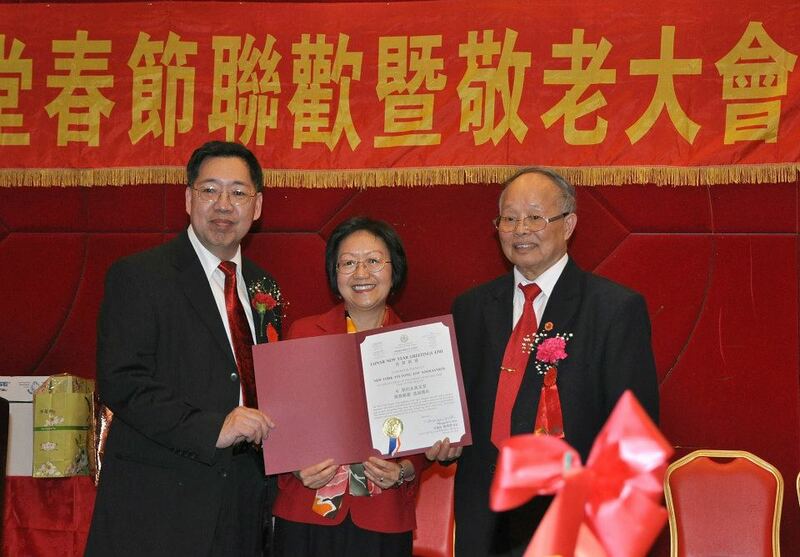 Youth: Roger Yu, Elaine Yu. Scholarships: Vicki Ong, David Chung. 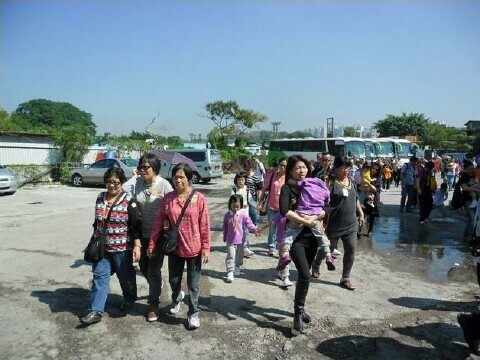 Women Group: Sue Ann Chu Yu, Siu Yee, Susie Chung. 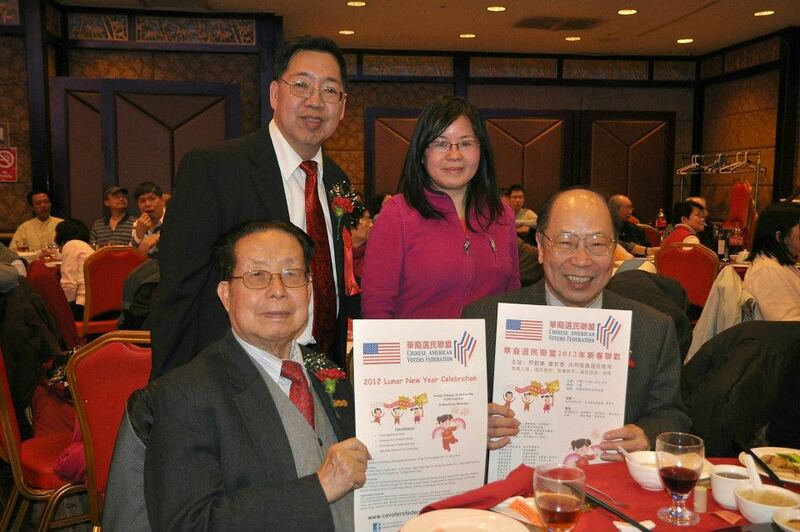 CCC Delegates: Lewis Yee, Frank Yu, Elaine Yu, Roger Yu. 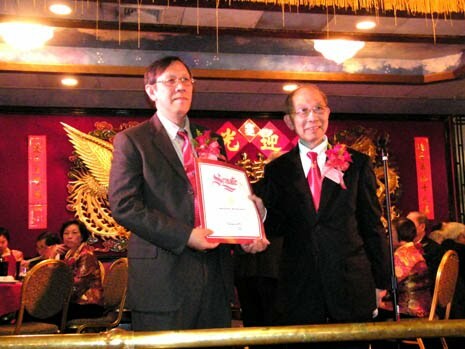 Gene K. Yee, Hsui Young Yee. 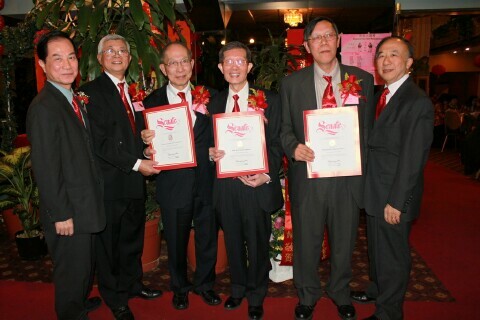 Kwok Ping Yu, John K. Yee, Sherman S. Yee, Donald Fong, Stanley Yee, Robert Yee. 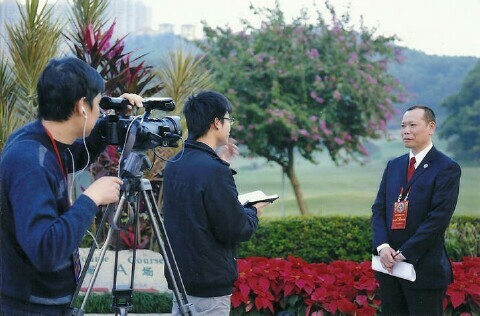 Henry Yu, Sui Mo Yee. 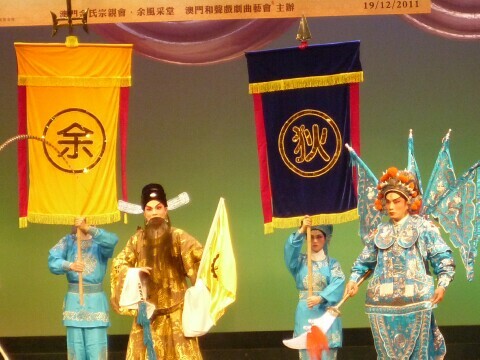 Henry Yu (Tin Won Yee), Guo Xi Yu. Sam Yee, Shui Sum Yu. 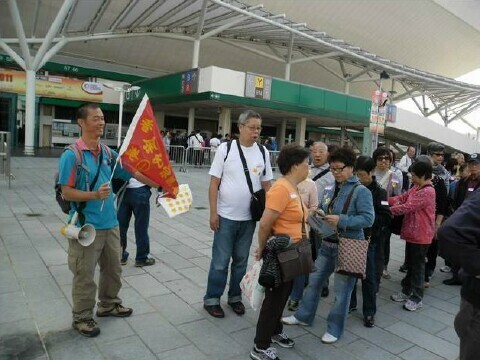 Ock Ting Yee, Sui Mo Yee. 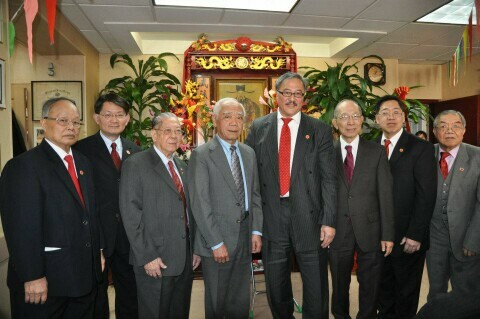 Henry Yu, Herbert Yee, Tom Lee, Gene Yee, Kwok Ping Yu, John Yee. 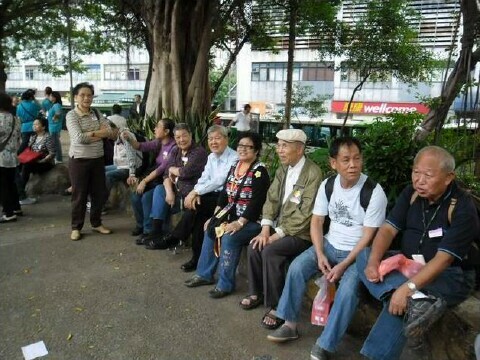 Ock Tin, Kwan C., Henry, Art, Shui Sum, Sam, Mon Wai, Run Hong, Ting Watt, Shui Wah, Kui Jam, Sui Mo, Guo Xi, Chuck, Hong Mo, Joe Leung, Willie, Pat, Kwock Lam, Shiu Hong, Buck Yin, Eugene, Robert, Yee Park, Alfred.. 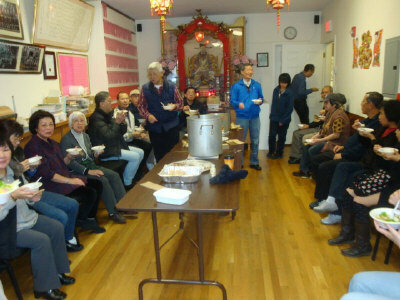 Celebrating the Year of the Dragon was held on Sunday, January 15, 2012. Notes: Tickets are available from Monday - Saturday, 2-4pm, January 15 - March 25 at the Association office. 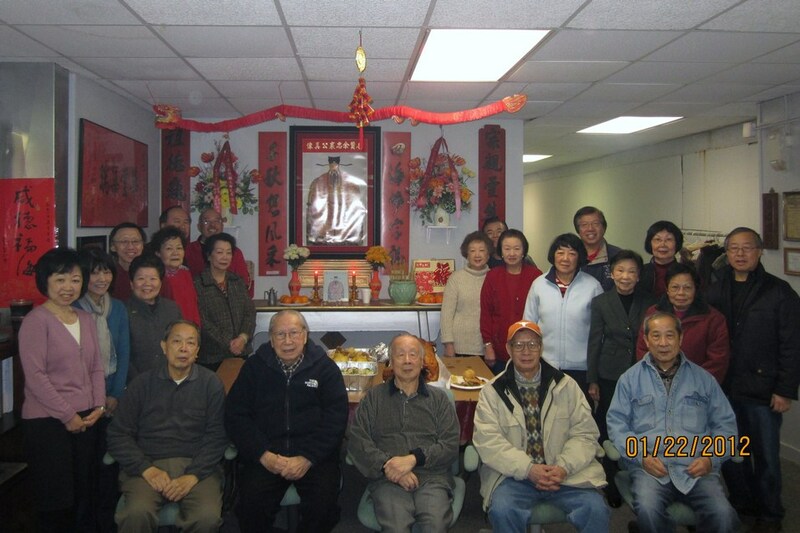 New England Yee Fung Toy Ancestral Memorial Ceremony was held on 01/29/2012 at 12:00PM (Chinese lunar calendar being January 7th). 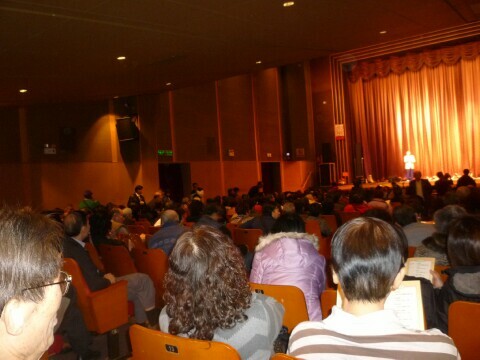 The number of people in attendance was well over 70. 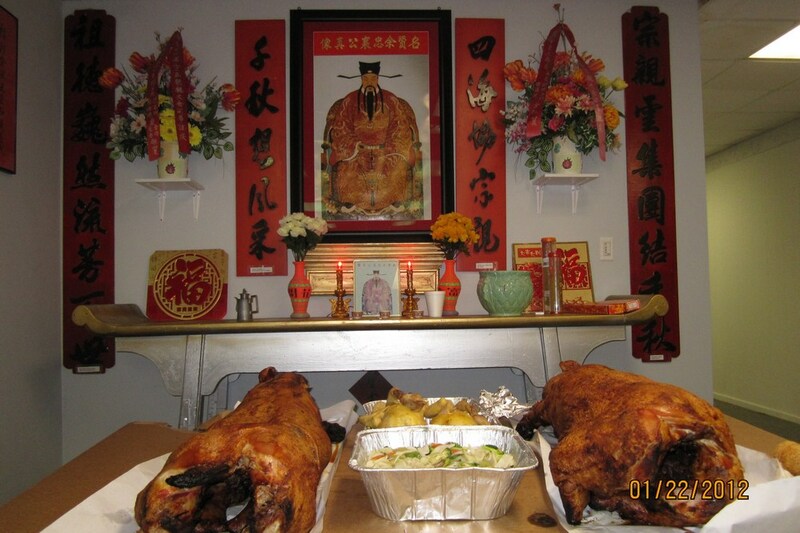 The ceremony included the offering of a roasted pig, chickens, pies, cookies, fruits and bouquets of flowers. 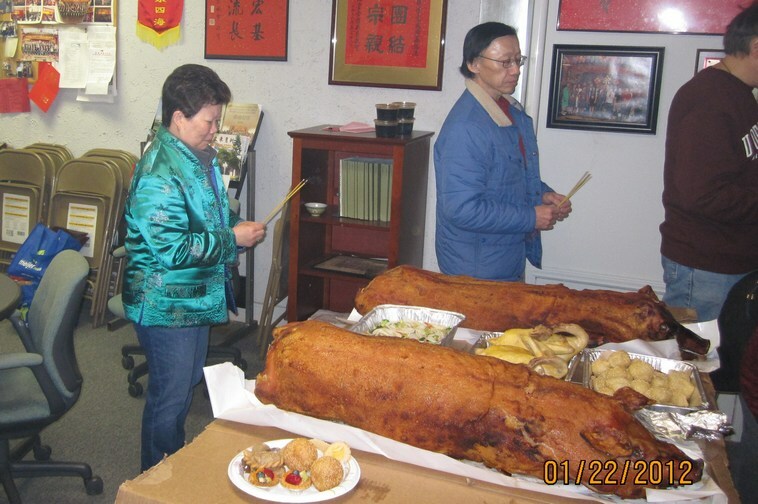 As the Chinese secretary, Ken was MC for this ceremony who greeted everyone with “Happy New Year” as the ceremony began with the lighting of incense, the traditional three bows, Chinese toast, the blessing of the pig and concluding with the striking of the cymbal. 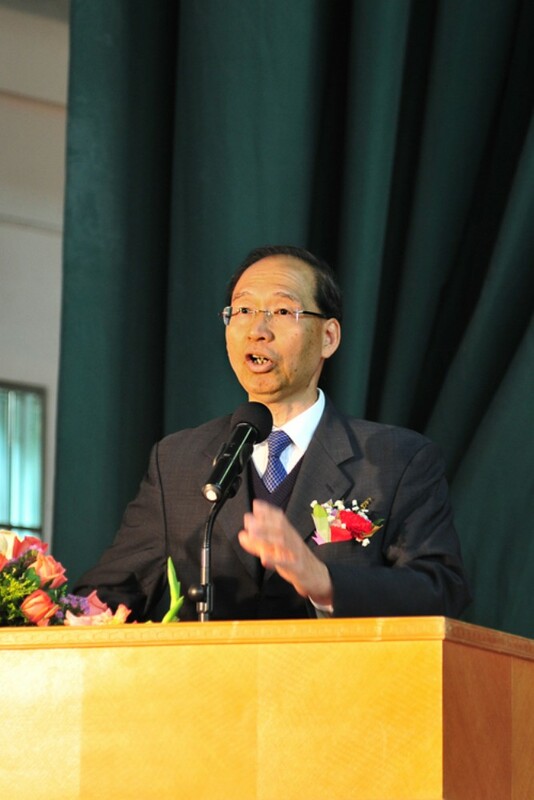 President King-Sun spoke to explain that this was the seventh day of Chinese Lunar New Year on which the Chinese tradition calls “People Day”. This day is considered the Birthday for everyone. 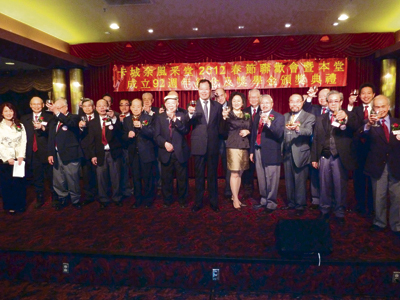 President King-Sun proceeded to wish everyone a Happy New Year and Happy Birthday. 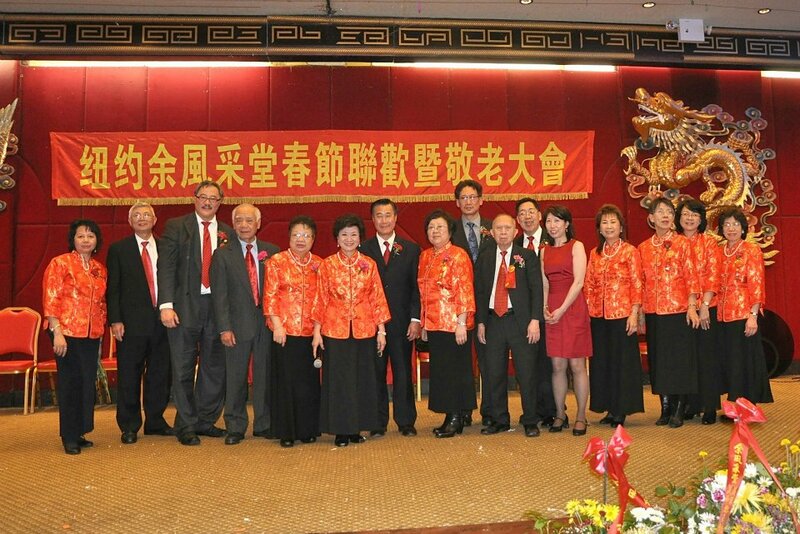 Following speeches were given by the Vice President Warren, Grand Elder Henry Yee, East Vice Grand President Peter Yee, Advisors and Women group leaders etc…. 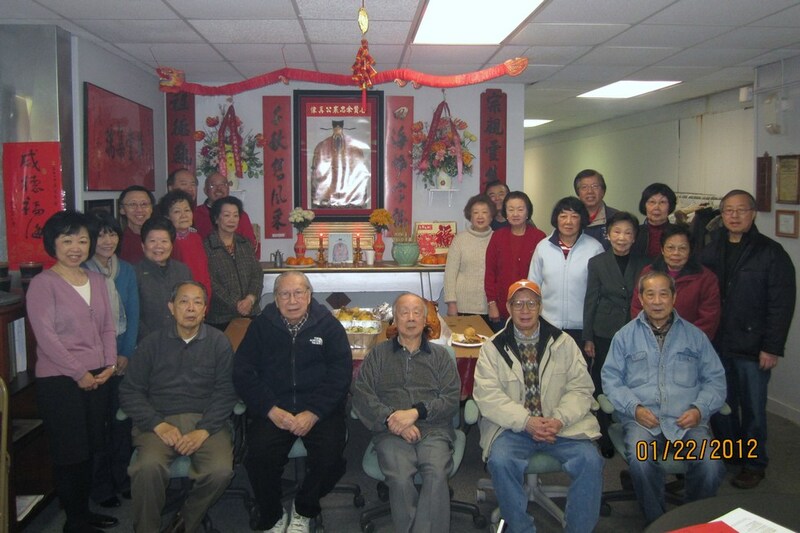 They all wished everyone good luck, a happy, healthy and prosperous 2012 year. 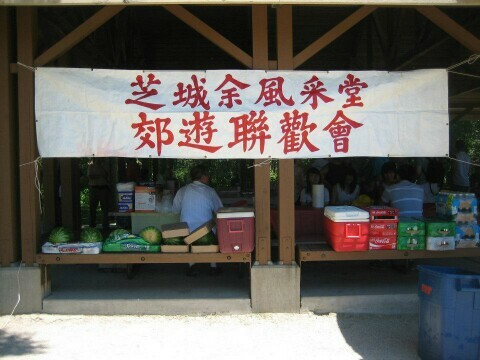 Lunch was served and everyone talked and exchanged greetings among one and another. 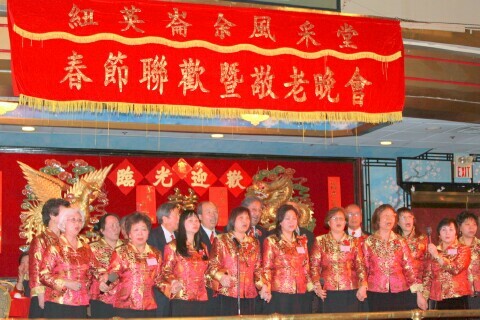 Additionally, ten Lion Dancing Groups came by The Yee Fung Toy Association headquarter to wish the association and its members a Happy Chinese New Year. 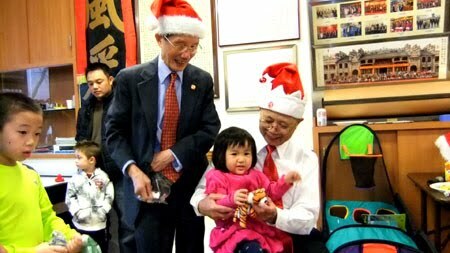 While they paraded through the crowded streets in Chinatown, Yee Fung Toy Association was full of joy and happiness. 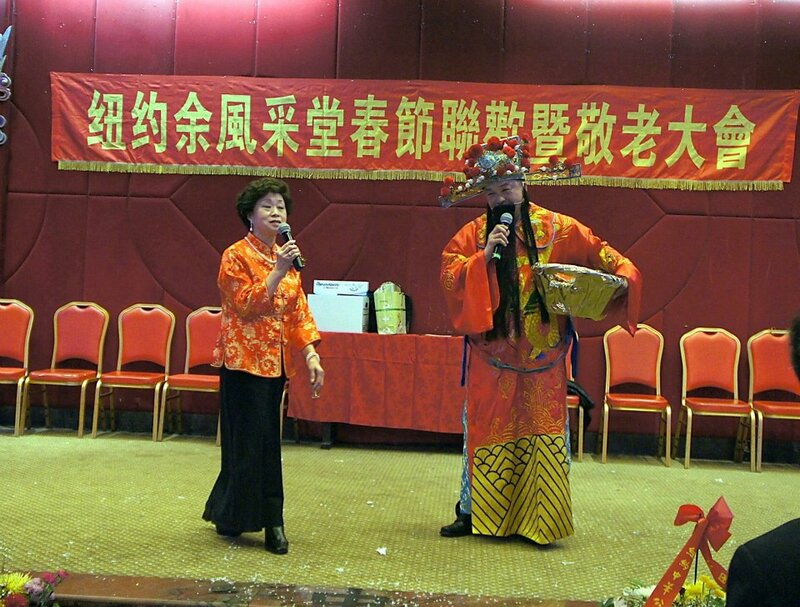 The Yee family members also continued to practice singing and dancing in preparation for the New Year Banquet. 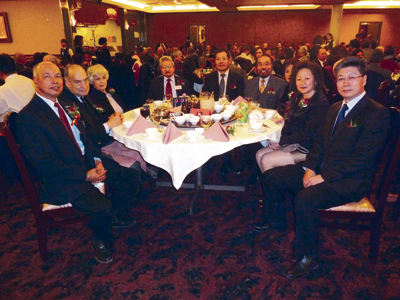 The Southern California YFT annual Spring Banquet was held on Sunday, February 5th. 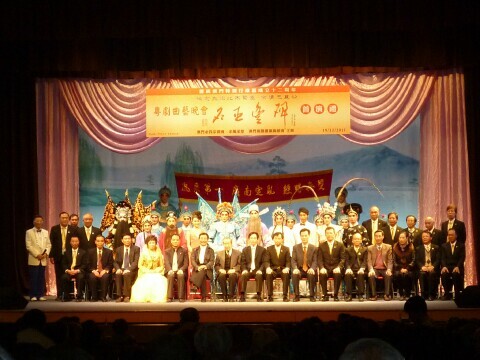 Ancestor ceremony was held at the Association Hall. 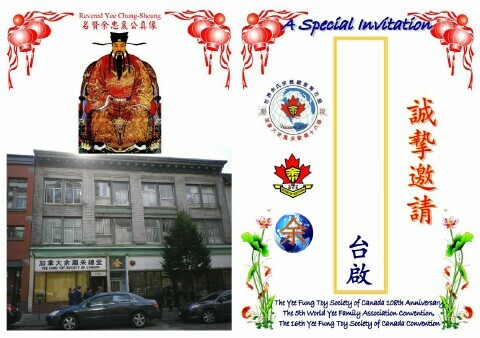 Gung hay fat choy （恭喜發財!） sun tai keen hong （身體健康!） to all as we welcome the Year of the Dragon 4710. 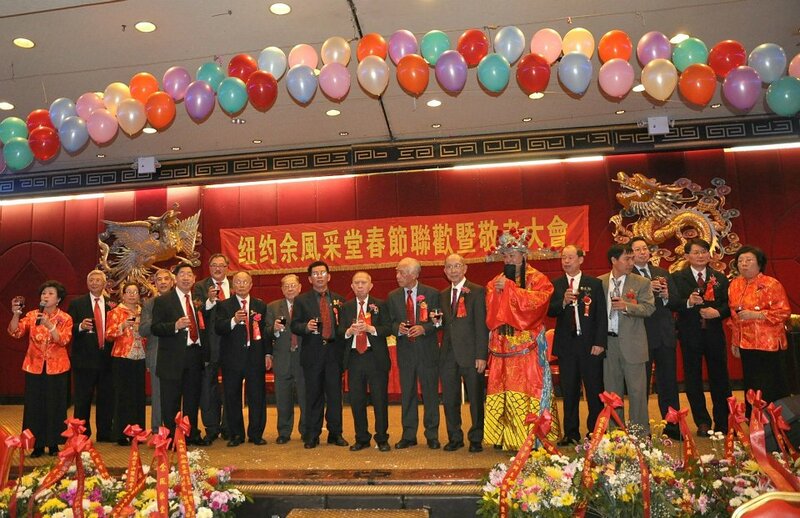 The New York Yee Fong Toy Association held its Chinese Lunar New Year and honoring senior members’ celebration on Saturday, February 18, 2012. 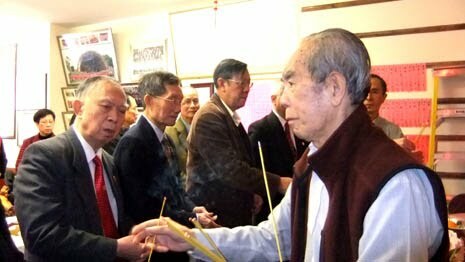 We started the days’ celebration at 1 PM with our traditional ancestral ceremony. 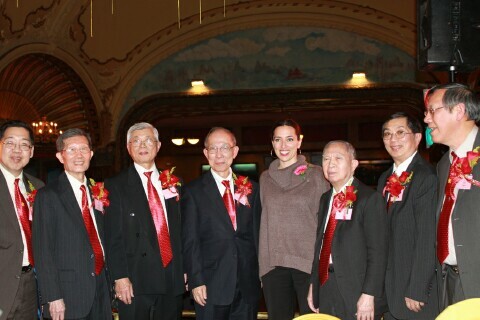 Unlike years past, we were honored to have joining us Western Grand President Larry （健全）. 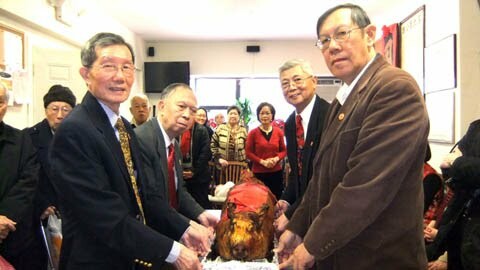 To mark this special occasion, Grand President Larry also donated a golden pig for our ceremony. 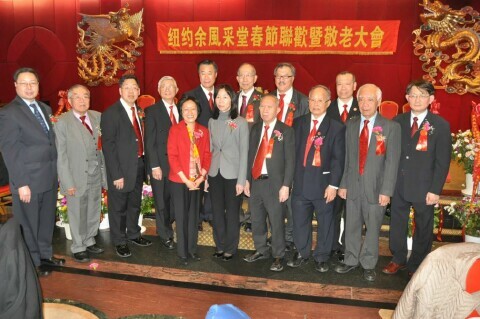 Eastern Grand President Kenneth （景新） and Eastern Vice Grand President Peter （超群） as well as Boston Grand Elder Henry （仕昂）, our Grand Elder Peter （耿石） and Grand Advisor John （保忠） joined with our leadership, members, Ma and Tse cousins along with some of the members from our sister chapter in Boston to participate in this traditional service. 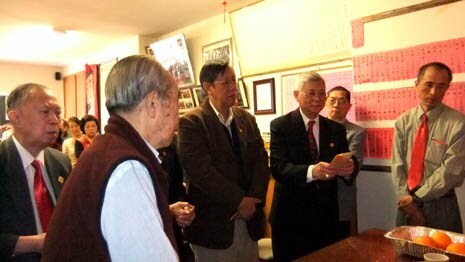 After the usual formalities, Presidents Dian Rong （典榮） and Frank （宏基） hosted a buffet luncheon. 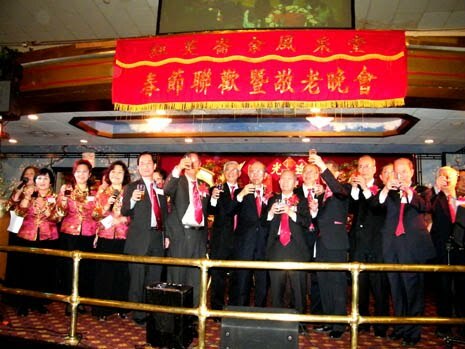 Although some say 2012 is also a Black Dragon or Water Dragon year, undoubtedly the Year of the Dragon will be the beginnings of a great year. 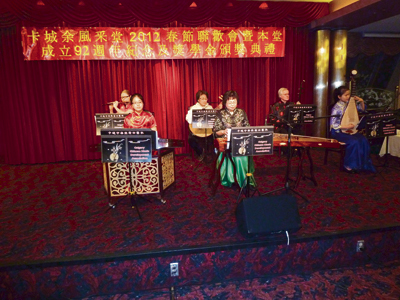 The evening Spring Banquet was again at Jing Fong Restaurant. Although this event seems to be the same each year, this year was especially historical. 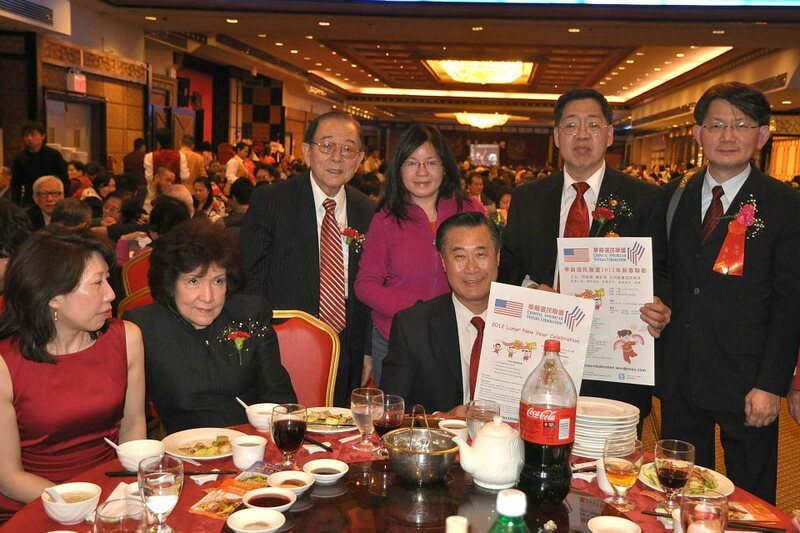 This year, among the over 930 attendees was a very special guest from San Francisco, California State Senator Leland Yee （余胤良）. 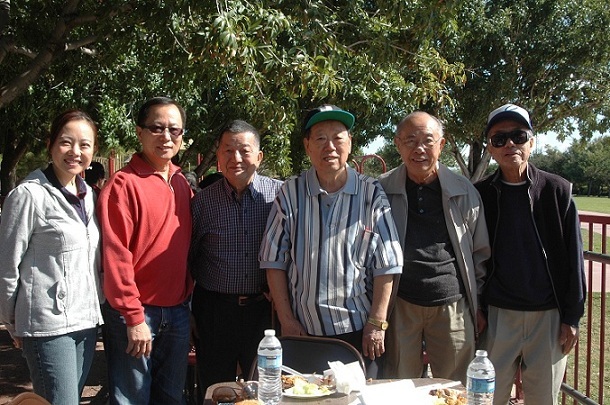 Leland is not only a cousin, he is a dedicated public servant and advocate for Asian Americans; and he is also running for California Secretary of State. We were also fortunate to have so many of our Headquarters’ Executive Board members joining us for the first time together at this event. We are honored to be able to join community leaders, friends and families together to celebrate new beginnings, strengthening the bonds of friendship and goodwill. 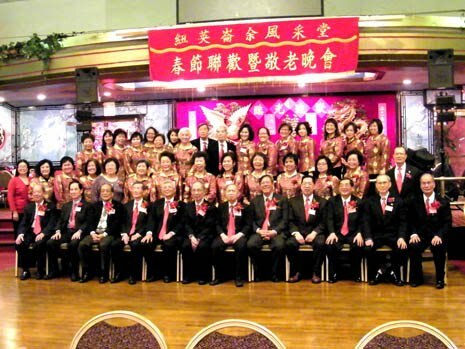 This year, we would like to acknowledge and thank the following group of guests for taking time to attend our evening gala: First, Consul Chen Shaoyi, Consulate General of the People’s Republic of China in New York, Deputy Director-General Odi Sun and Consular Officer Alfred Wu, of the Taipei Economic and Cultural Office in New York (TECO). 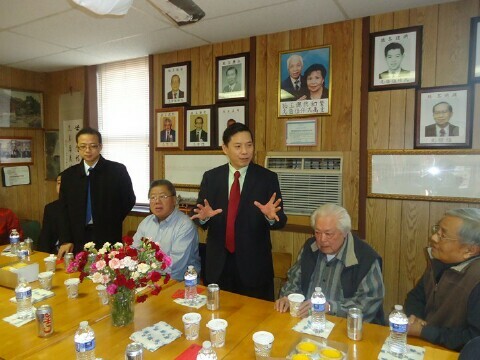 Next, CCBA President Jack Eng and President-Elect Paul Ng, Lin Sing Association Presidents James Wong, Hoy Sun Ning Yung President Woon Sheung Chan, Inspector Gin Yee, NYPD Patrol Bureau of Queens North as well as many of the Chinatown’s community leaders who were able to join us. 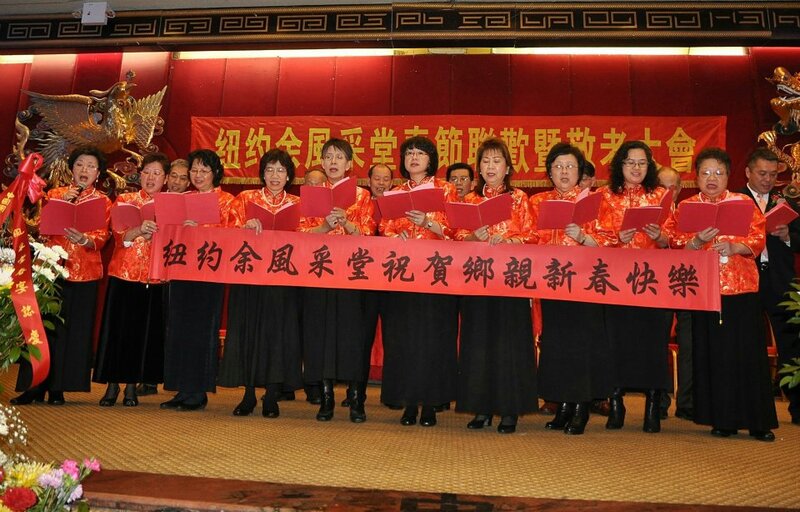 Our Women’s group under the direction of Kennie （錦娉） informally started the evening’s program with songs and Lunar New Year greetings. 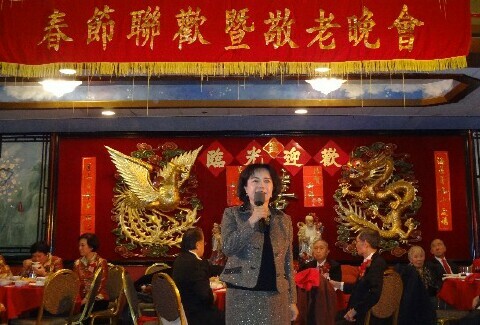 The celebration officially began with President Dian Rong welcoming and wishing everyone a great Year of the Dragon. After a brief speech portion of the program, President Frank thanked and wished everyone attending all the best for the coming year. 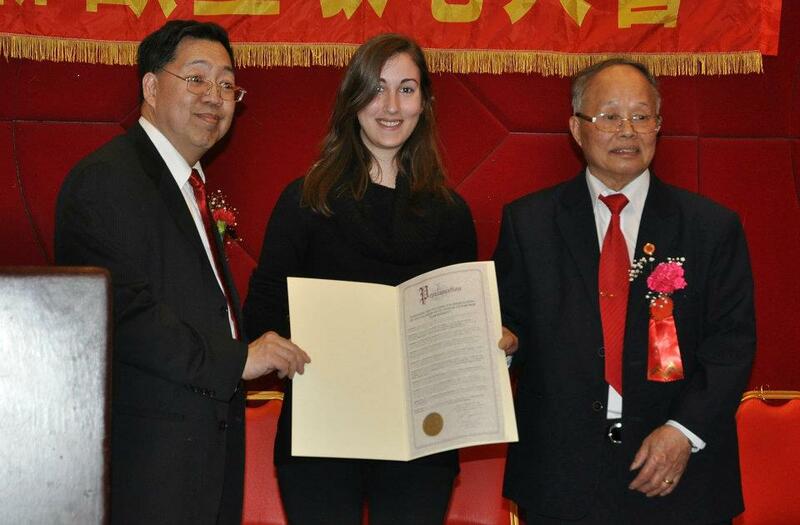 We also want to thank the following public officials who could not attend but sent a liaison to present our association some Proclamations: Ms. Vesna Petrin for NYS Senator Daniel Squadron, Kevin Chu for NYS Assemblywoman Grace Meng of Flushing, Dr. Tim Law for NYS Assemblyman William Colton of Brooklyn and Ms. Jasper Li for NYC Comptroller John Liu. 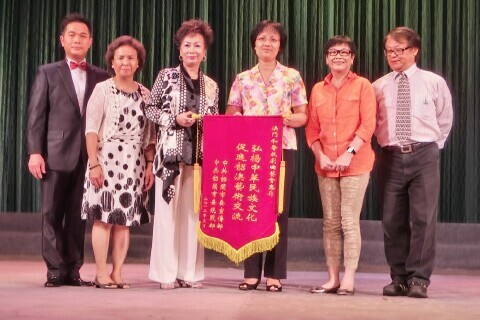 Finally, our beloved Councilwoman from District 1 representing Chinatown, Margaret Chin who came personally to wish us all the best in this Year of the Dragon and presented us a Congratulatory Letter from the NY City Council. 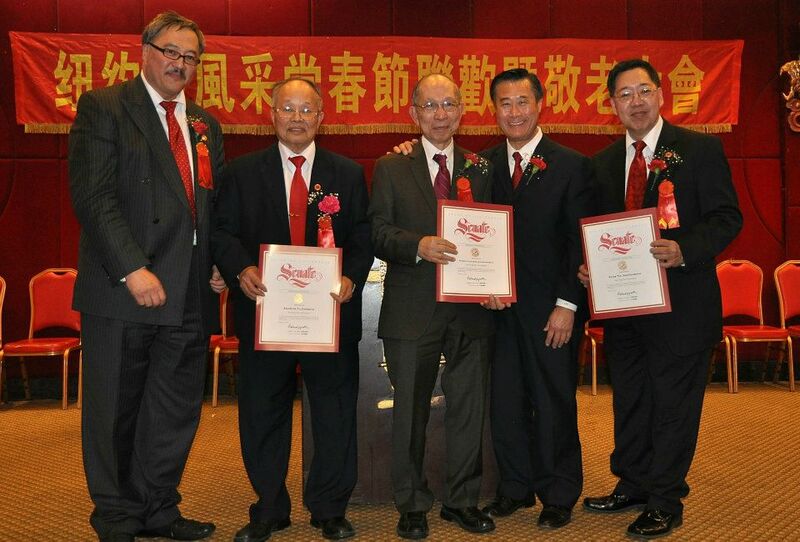 Senator Yee with the help of Grand President Larry also presented Presidents Dian Rong and Frank as well as Grand President Kenneth with Certificates of Recognition from the State of California. It is truly an honor to be recognized and respected as a worthy organization doing good for the community as well as for our members. 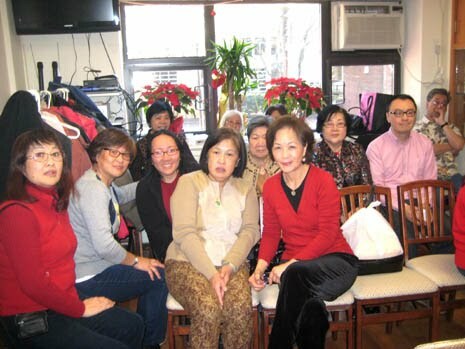 We also want to give recognition to Jing Fong Restaurant, Lee Kum Kee, Lina Mei of NY Jewelry, Health and Beyond for donating to our raffle gifts. Knowing that our economic times are challenging, we appreciate greatly for their generous support. 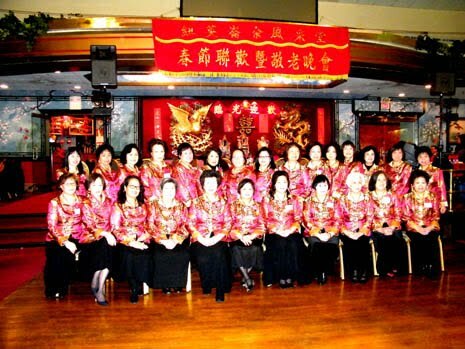 We are also proud to be able to continue support Chinatown-based organizations such as Gouverneur Hospital, NYU Downtown Hospital, Chinatown Day Care Center and New York Chinese School. We need to continue this collaboration and support in order to succeed. 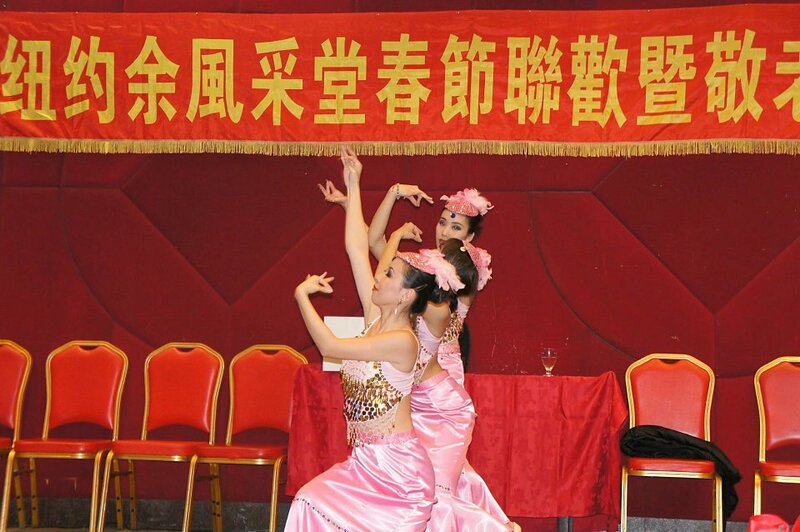 As in years past, we tried to provide a surprising and entertaining evening for our guests. 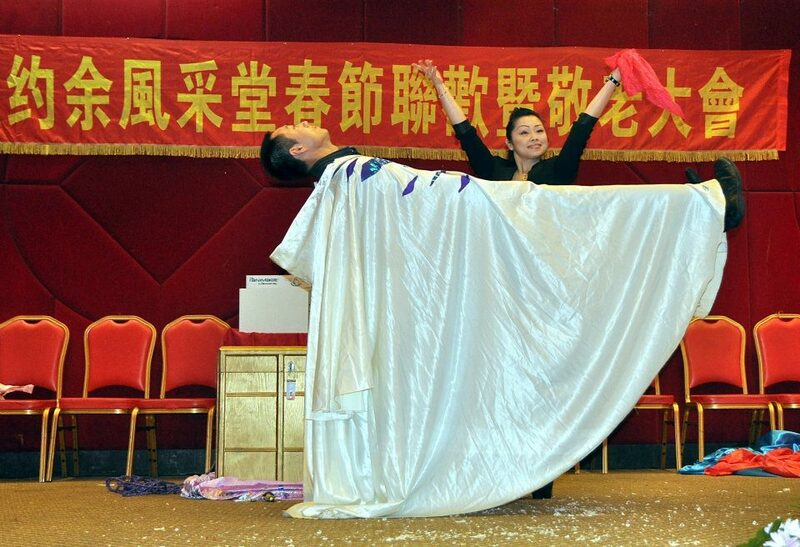 Beside our raffle drawings, singing and dancing performers, we had a unique magic show performed by international award winning magicians Cui Wei （崔偉） and Li Ying （李影）. 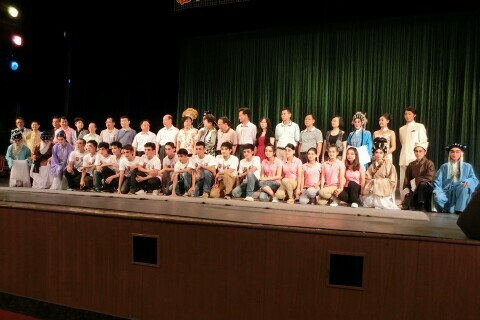 We were delighted that young and old seem to be amazed by their performance. 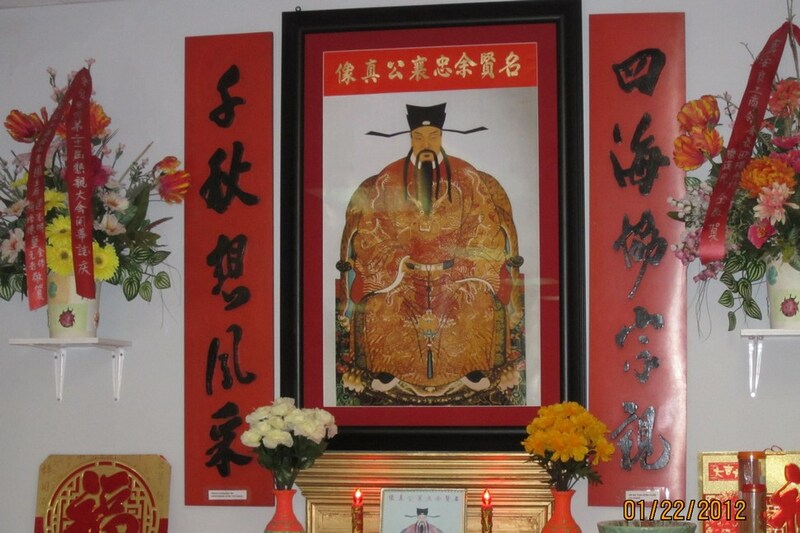 This year, we want to again thank John （建業） for playing the part of Choi San Dau （財神到） our “God of Wealth” and going throughout the restaurant wishing the guests good fortune. 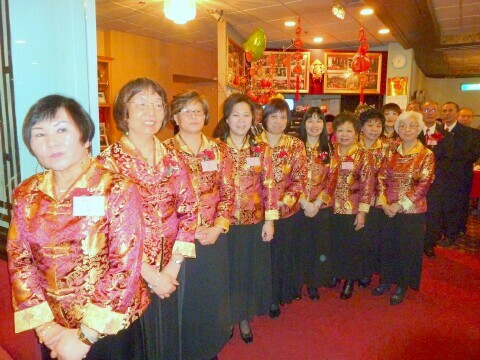 We also want to especially thank our Women’s group and everyone who helped make this a joyous event. We wish everyone a great year and see you all next year. 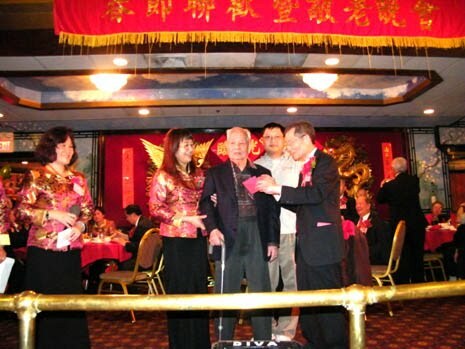 This year’s Spring Festival/Senior Appreciation banquet was held on February 25 at Empire Garden. 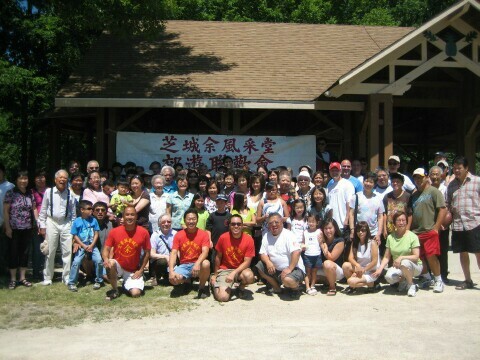 Close to 500 members and guests were in attendance, including our fellow members from New York. 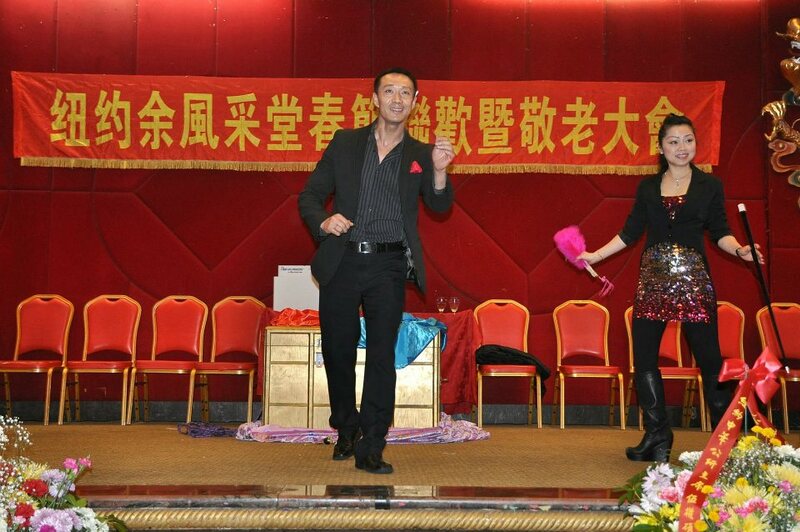 The evening was co-emceed by Melinda (Chinese) and Paula (English). Six-year old Timothy Du, son of Matt, performed a kung fu/tai-chi combination, with each movement explained by his aunt, Sifu Mai Du. 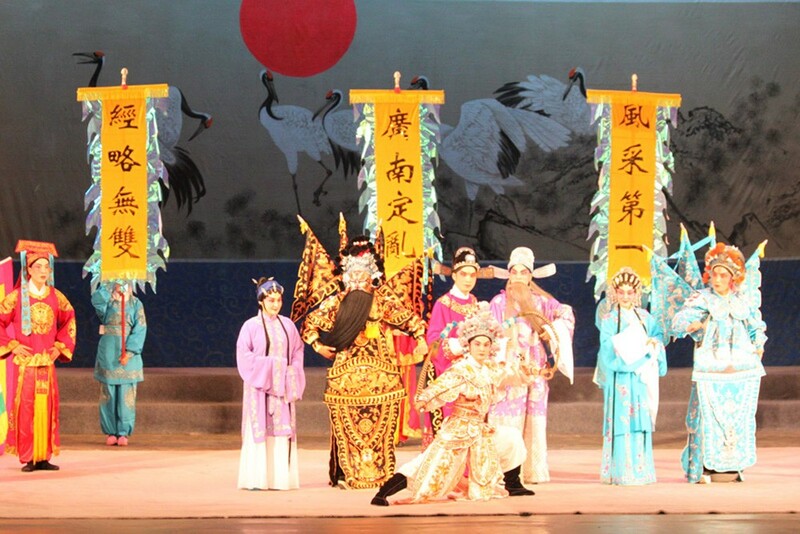 It thrilled the audience to see such a wonderful performance by someone so young. 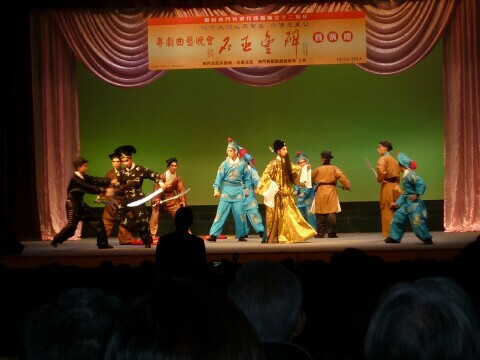 Our members then followed by performing two group dances. 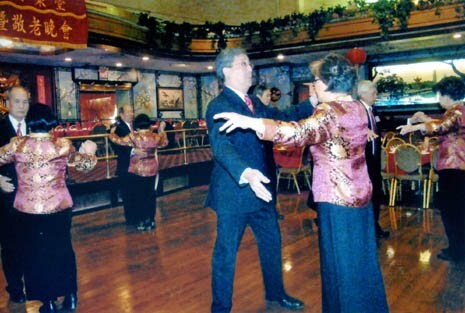 The first one was called Double Waltz where every step was done in unison and the second one was called a single person group dance where no partner was required. 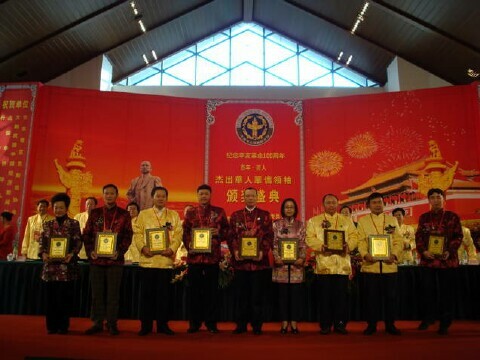 President King-Sun gave an opening speech, followed by invited guests CCBA President Rick Wong, State Senator Sonia Chang-Diaz, Director General of TECO Ann Hung, Director of TECO’s Cultural Center Jack Huang, and concluded with State Representative Donald Wong. 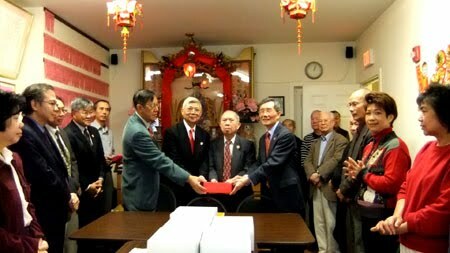 Our New York YFT members Grand President Kenneth and President Frank presented proclamations to a number of our Elders/Advisors. Vice-President Warren concluded with a warm thank you to all our members and guests. 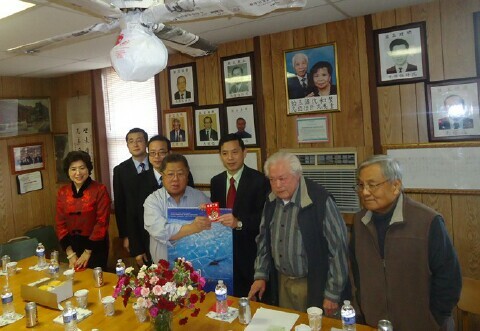 President King Sun presented two red envelopes to our two oldest members, Fun K. Yee (100 years old) and Zhan Lin Yu (95 years old). 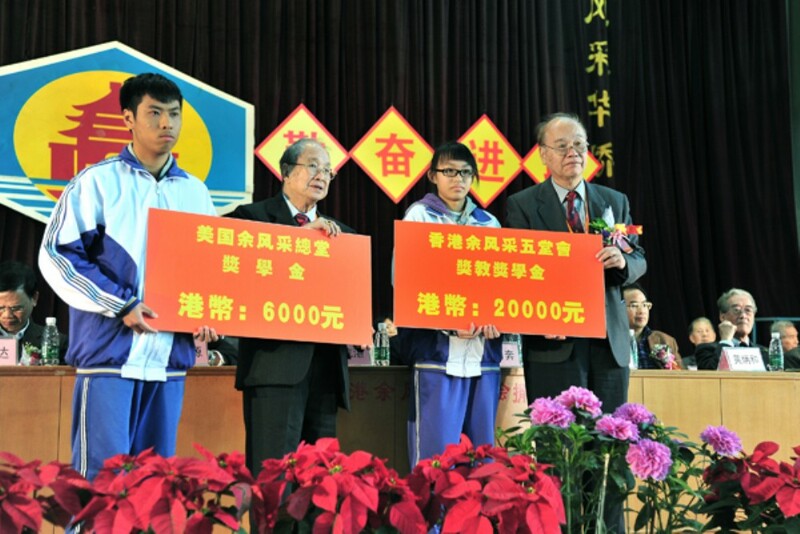 Scholarships were handed out to 12 deserving college students this year. 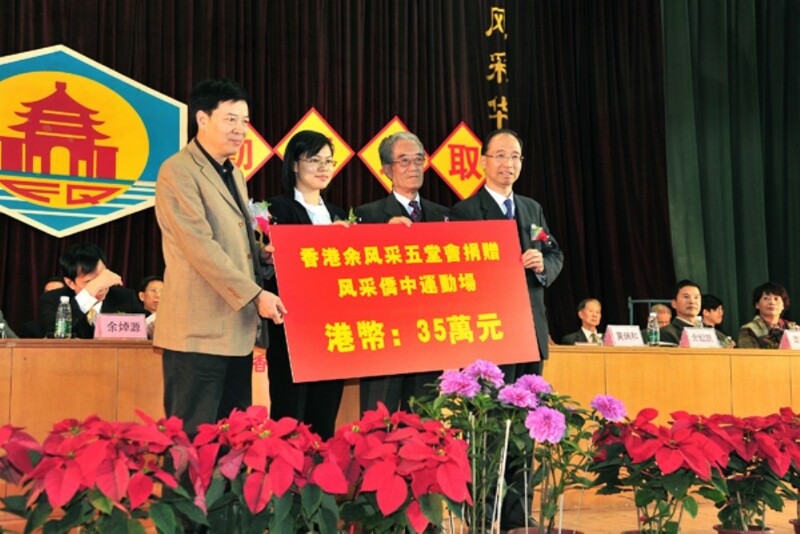 Each student must carry a GPA of 3.6 or higher. 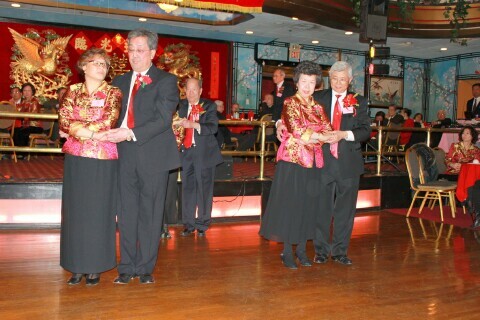 The evening continued with Karaoke and line dance performances by our own members and invited guests. 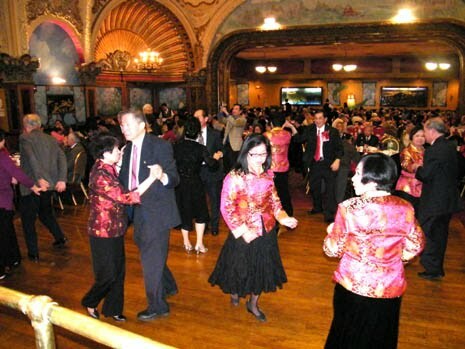 The dance floor was jammed with happy dancers. The evening concluded with a raffle drawing led by Women’s Group Co-Chairs Joanna and Karin. It was another successful celebration for the YFT! 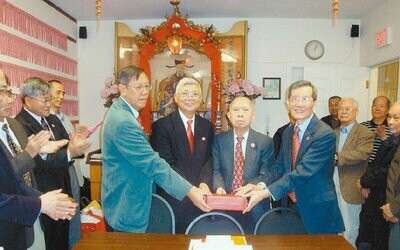 The next issue of the Yee Fung Toy Global Village Voice will be published in mid June, 2012, featuring reports of Ching Ming and Spring celebrations at Yee Fung Toy associations around the world. 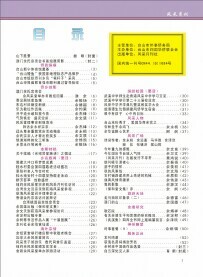 Please submit your articles to the Editor via email (world.yee @ gmail.com) or postal mail (The Editor, 226 East Georgia Street, Vancouver, B.C., Canada V6A 1Z7) by May 15.